What’s with these dirty birds? 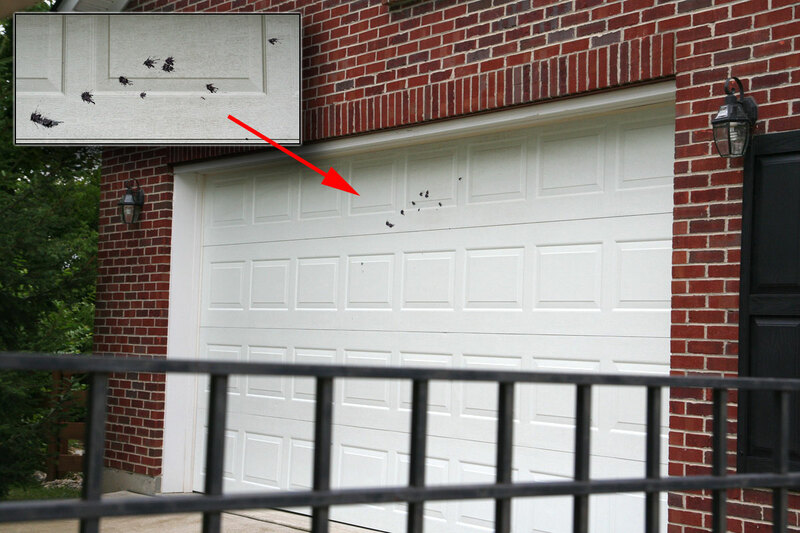 I just finished cleaning a bunch of bird excrement off my white garage door and I even brought out the power washer to blast off some ‘Gorilla Glued‘ on droppings … then about 48 hours later: SPLAT. 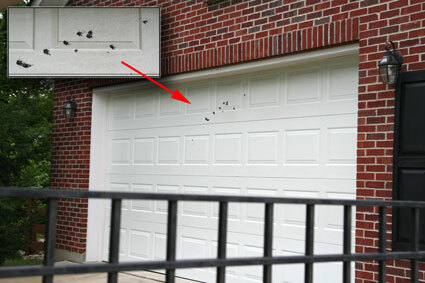 How do they angle their dropping to hit our garage door and not even hit the driveway below?? ?